Yep, still pregnant over here. It's more challenging than I thought it would be waiting for your life to completely change. It's alright though... deep breaths, enjoy the sunshine and know that this too shall pass. Also try not to spend time shopping online, yes, totally guilty! 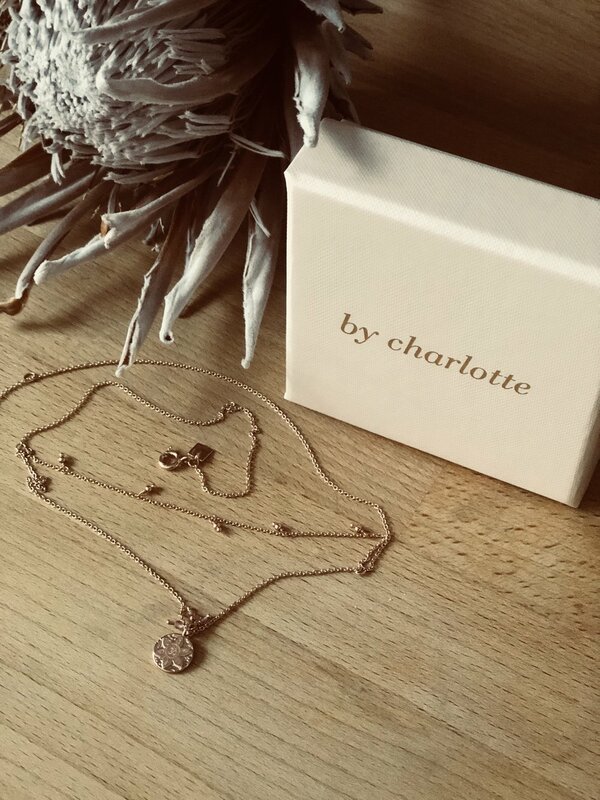 I bought this incredibly beautiful necklace (see below) from By Charlotte. It's the Eternal Harmony Necklace that features the seven energy chakras for balance of the mind, body, and soul. Allow the balancing chakra symbol to guide and support you on the, often turbulent, journey of life. **Sneaky tip of the day though - you can order it through The Iconic and get $20 off PLUS free delivery and return! I saved so much money doing it this way and was very proud of myself! As I am writing this I am 40+2 days which is completely normal and healthy for a first time mum and he could happily stay until 42 weeks if he wanted to. Part of me is fine with this because I am not that physically strained and he is super healthy at every check up. The other part of me is emotionally exhausted from preparing myself each day for it potentially being "the" day. I am trying to keep myself occupied and go off on adventures or watch movies or do something creative but a girls gotta just get the thoughts off her chest! If there is any time on my life I am allowed to request extra love and attention, that time is now! Today I am sitting in the sun, blogging, creating a chill new spotify playlist, hoping to write up what I want my future to look like (manifestation baby!) and maybe do something else creative - paint/draw/sew?? Who knows. Just have to stay distracted!